There are plenty of ways to learn to sail or to get out on the water and relearn old sailing skills on the Isle of Wight. Then once you are proficient you can hire anything from a dinghy to chartering a large yacht. Or, once you’ve learned the ropes, you can offer to crew on someone else’s boat - good crew are always in demand, especially around Cowes Week. UKSA offers courses in learning to sail, getting better at sailing and even instructor courses if you’re thinking of becoming a career sailor – for all ages and abilities. Formerly the UK Sailing Academy, UKSA has courses in everything from kayaking and windsurfing, moving up through dinghy and keelboat sailing to yachting in which you can take skippering, yachtmaster and cruising qualifications at their Cowes campus. A registered youth charity, UKSA also runs school residential and day trips, and special watersports programmes during the school summer holidays giving those as young as eight the opportunity to earn recognised qualifications. Get out on the water with Salty Sailing, a fully accredited RYA Training Centre based in Shepards Marina, Cowes. They offer a complete range of courses from beginner through to Yachtmaster, so there really is no better place to learn how to sail. For friendly, fun, expert tuition in one of the best learning locations in the world, get in touch. Salty Sailing also offer skippered charters if you fancy taking the boat out but leaving all the work for someone else. You can hire a fully skippered boat for the day, weekend or longer - contact them to discuss a tailor made package for you and up to 7 friends. For more details on the courses offered, from beginners day sails, competent crew, day skipper through to Yachtmaster prep weeks check their website. One of the best ways to learn is to join a sailing or yacht club as many offer training to their members. Gurnard Sailing Club offer Adult Sail Training to club members from complete beginner to intermediate racing level. 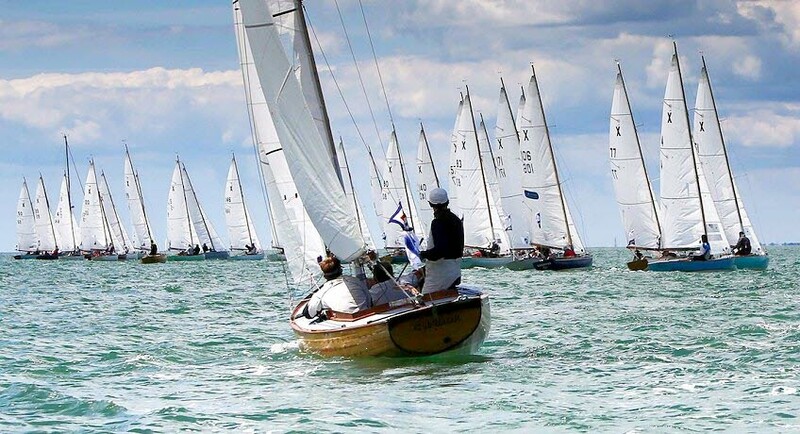 Adult beginner courses (RYA Basic Skills levels 1 and 2) are run from a sailing centre on the River Medina in Cowes and they also have cadet sailing sessions for kids between seven and eighteen. 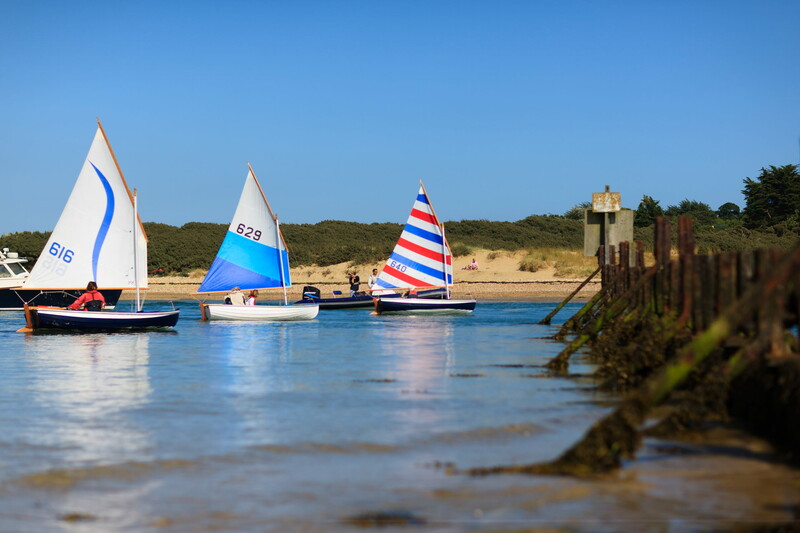 Yarmouth Sailing Club (YSC) are also an RYA Training Centre and can provide instruction, and award certificates for adult dinghy course levels 1 to 3, and youth dinghy courses stages 1 to 4, together with Dinghy Seamanship Skills. They also offer more informal training sessions such as: Sailing Skills Days (for less experienced adults and children); Get Back on the Water Days; Racing Rules Clinics; Patrol Boat familiarization sessions; Race Officer training sessions. Their training is only offered to members, but the charge for participation is kept as low as possible, typically £20 for a half-day’s session. Sail Training at Yaverland Sailing Club takes place on Saturday mornings through the spring, summer and into the autumn (usually finishing at the end of September when the sea gets too cold). They limit the number to six so that every cadet gets their own boat, with a minimum age limit of 13 and they require that all under 16 year olds are accompanied by a paying adult. Once trainees have reached a level of proficiency and have become club members they will be able to hire out Picos on a Saturday afternoon. Once you’ve learned to sail you may not want to buy a boat yet, or you may want to get more experience first. Most of the sailing clubs will have dinghies to hire and notice boards where you can see who needs crew or leave your details. UKSA, formerly the UK Sailing Academy, is a leading maritime training provider based in Cowes on the Isle of Wight that takes advantage of having one of the world’s most challenging stretches of water right on its doorstep.From its campus and marina in Cowes, UKSA’s team of experienced and fully-qualified instructors provide a comprehensive range of ocean-based training; making sailing and watersports accessible to everyone. At one end of the spectrum are courses for the casual sailor brushing up on their skills and children trying watersports for the first time, while at the other are three-year intensive cadetships for young people looking for world-class training to launch their careers aboard superyachts. There are courses in everything from kayaking and windsurfing, moving up through dinghy and keelboat sailing to yachting in which you can take skippering, yachtmaster and cruising qualifications. You can also learn to drive a rib or powerboat, take courses in navigation, radio communication, sea survival and even marine engineering. As a registered youth charity, UKSA is committed to inspiring children to get out on the water and try new experiences. As well as running school residential and day trips, special watersports programmes are run during the school summer holidays giving those as young as eight the opportunity to earn recognised qualifications. With the added advantage of first-class equipment youngsters can learn kayaking, keelboating, dingy sailing and windsurfing. UKSA also run H2O Clubs, which are a series of evening and weekend training courses in windsurfing, dinghy sailing, keelboating or kayaking, providing Isle of Wight 8 to 16 year olds with the opportunity to get afloat and learn new skills. To further help make sailing more accessible, UKSA also offers a collection of unique vessels for charter. 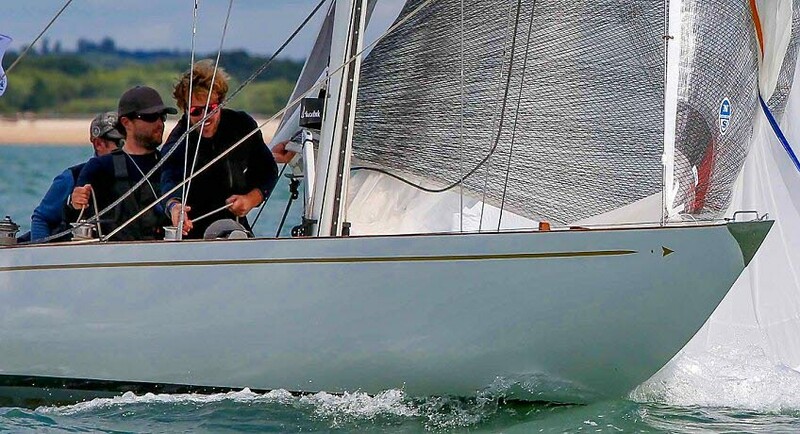 The iconic Gipsy Moth IV is among those available, and can be chartered for events throughout the season, such as Round the Island, as well as individual days too. Income raised from these charters goes towards maintaining the boat or providing opportunities for young people to sail on board. Many UKSA courses are MCA and RYA accredited including a number designed for individuals looking for a career at sea. Run by professionals with industry experience, the Cadetship, Ocean Graduate, Commercial Yachtmaster and a six-week crew training course all provide access to sailing careers while a range of watersports courses offer a thrill-seeker’s lifestyle as an instructor. Established over 25 years ago, UKSA strives to remove all obstacles preventing individuals from enjoying the sea, and provide exceptional opportunities for all.